Historic Longstreet Farm, Holmdel – Share patterns, get some work done on a forgotten project, or learn a new hobby during this informal knitting bee. Farm staff will be on hand to help newcomers with casting on or to teach the basics. More seasoned knitters are welcome to share their love of knitting. FREE! Thompson Park Creative Arts Center, Lincroft. A large selection of bisque-fired pottery pieces to glaze and make your own. Children age 12 and under are welcome but must be accompanied by an adult. The cost is $6 per hour plus price of bisqueware; cash or check only. Manasquan Reservoir Environmental Center, Howell. Nature-themed stories items related to each story. Open to ages 2-5 years with adult. FREE! Freneau Woods Park, Aberdeen – Meet in the Activity Center parking lot. Join the Roving Naturalist for a walk and discuss seasonal points of interest, search for signs of wildlife, and identify a bird or two. This is a 1.5-2 hour program, but feel free to join in or drop out at any point. Dress for the weather as light rain and snow are not deterrents. FREE! 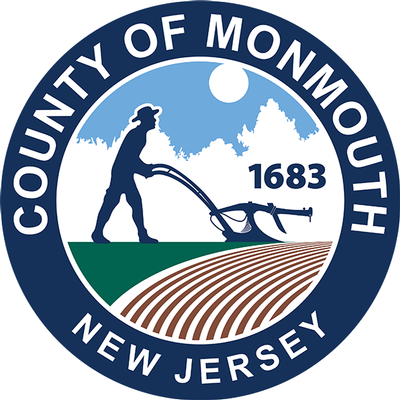 The Monmouth County Park System invites youngsters age 8-11 to join award-winning children’s author Janine Kimmel for The Art of Storytelling. Held from 1-3:30 p.m. on Sunday, February 10 at the Dorbrook Recreation Area Program Building, Colts Neck, this imaginative workshop focuses on the art of storytelling. Participants will travel through a magic door and create their own illustrated story. The cost is $30 per person; pre-registration required. There is also a $10 supply fee payable to the instructor at the beginning of class. For more information or to register, visitwww.MonmouthCountyParks.com or call 732-842-4000, ext. 1. Historic Longstreet Farm, Holmdel. Come see what the Blacksmith is making in his workshop. FREE! Zoologist Bill Pitts will present his program, “The Bog Turtle: New Jersey’s State Reptile,” at the Monmouth County Audubon Society meeting on Wednesday, February 13 at 8:00 p.m. The public is welcome; admission is free.The Bog Turtle was named New Jersey’s State Reptile on June 18, 2018, following a successful petition campaign begun by science students from the Riverside Elementary School in Princeton, who were concerned with the turtle’s threatened status. The NJ Endangered and Nongame Species Program estimates that there are fewer than 2,000 of these inhabitants of groundwater-fed freshwater wetlands left in the state. Once abundant in New Jersey, this secretive, palm-sized turtle is found today only in rural areas such as Sussex, Warren, Hunterdon and Salem counties. Learn all about this charismatic creature’s natural history in New Jersey and conservationists’ ongoing effort to protect the Bog Turtle and increase its habitat and population in this entertaining program. Free and open to all. Meetings are held the second Wednesday of each month September through May at the Tower Hill Church, 255 Harding Road, Red Bank; guest speakers address a wide variety of nature-related topics, and refreshments are provided. Meet in the Rocky Point section parking lot in Highlands. A Park Naturalist will explore the parks in celebration of the Great American Backyard Bird Count.